When it comes to personal storage, you don’t always need to be thinking outside the home. While Affordable Family Storage is dedicated to providing the best in storage rental in Council Bluffs, along with many other locations, we also like to provide some at-home advice. Making the most of your personal storage space goes a long way to avoiding a cluttered, stressful home or office. With that in mind, in this blog we’re providing some basic tips on making the most of your personal storage spaces in your home, apartment and office. The first major step in figuring out how to make the most of your personal storage space is to get things organized. Figure out which belongings you’re currently using, which ones you want to keep for sentimental value, and which ones you can get rid of. This will give you a great foundation to begin finding the right place for the right things. It’s also important to get rid of at least some your stuff. While we all have sentimental things we hold on to, it all piles up fast. Once you’ve sorted your stuff, it’s time to find some more space. If you’ve never gone through and organized your clutter, you probably haven’t been making the most of your home space either. Once you’ve decided what you’re going to keep, go through your property and take a look at how much space you’ve already freed up, and how much of what you’re keeping will fit where. 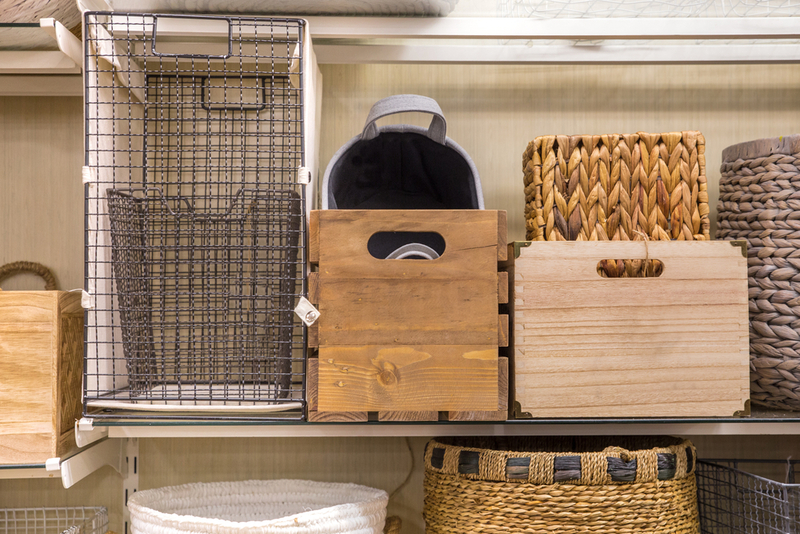 There are few imaginative things you can do to store your stuff around your home that will help you keep it organizes. Labeling your things is a great way to keep order, but color-coding can add an extra element of easy retrieval. If you have some newly-freed-up space, you might think about getting some new shelves or cabinets to store things in. A handy tip for this is to think vertically rather than horizontally. As long as it’s practical, get tall cabinets or units rather than wider ones to keep space free. Of course, if you’re moving, having work done, or simply don’t have enough space, you can always rent a storage unit from Affordable Family Storage. We’re dedicated to providing secure, safe and modern storage in Council Bluffs, IA, along with the best in friendly and informative customer service. If you’re looking for some extra personal storage space, contact us about storage rental today.